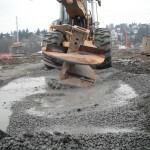 Ruskin Construction offers unique foundation and ground improvement services. 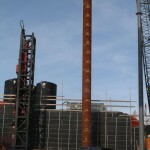 We have developed substantial capacity and competency with a variety of construction options allowing Ruskin to provide alternate solutions to any foundation requirement. We have invested in this key part of our business to ensure all aspects of foundation construction can be provided to our clients. 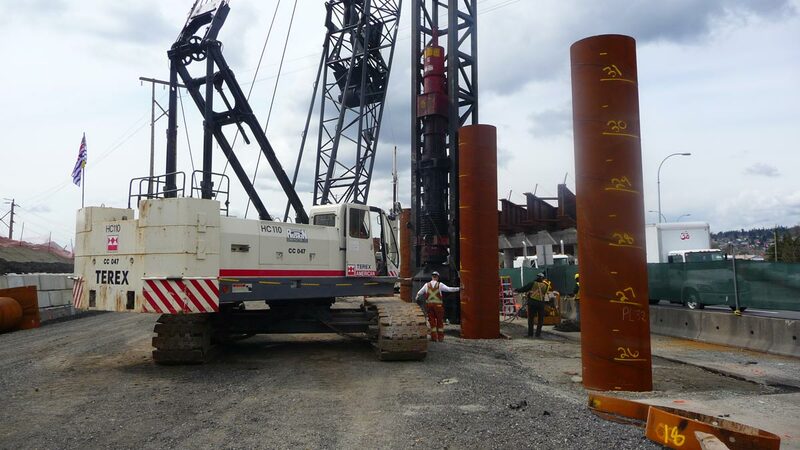 With the latest vibro and drilling equipment, coupled with an experienced crew of trained journeyman and supervisors, Ruskin is capable of working through the challenging demands of any project. 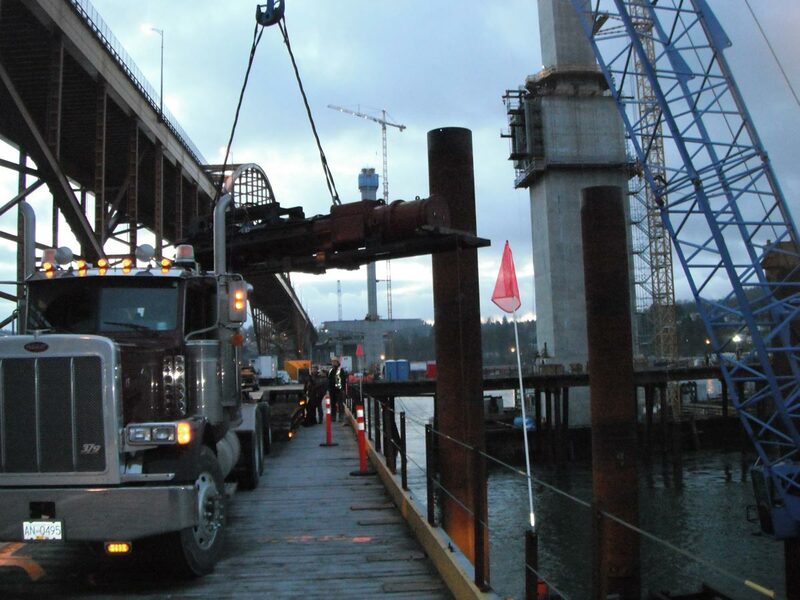 With a client range from industrial operators to large general contractors, Ruskin can provide the specialized equipment and expertise to get the job done. 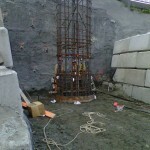 We balance the needs of the client and project to ensure that all safety, environmental and scheduling aspects of the job are communicated to all members of the team for total success. 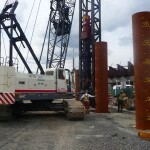 CONVENTIONAL PILE DRIVING – Ruskin has a fleet of over 40 cranes with mounted piling equipment ranging from 18,000 ft/lb capacity to 250,000 ft/lb capacity. 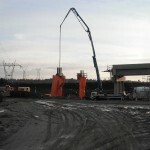 Several of our units can handle 30 m long x 914 mm diameter piling in one section, eliminating splicing. 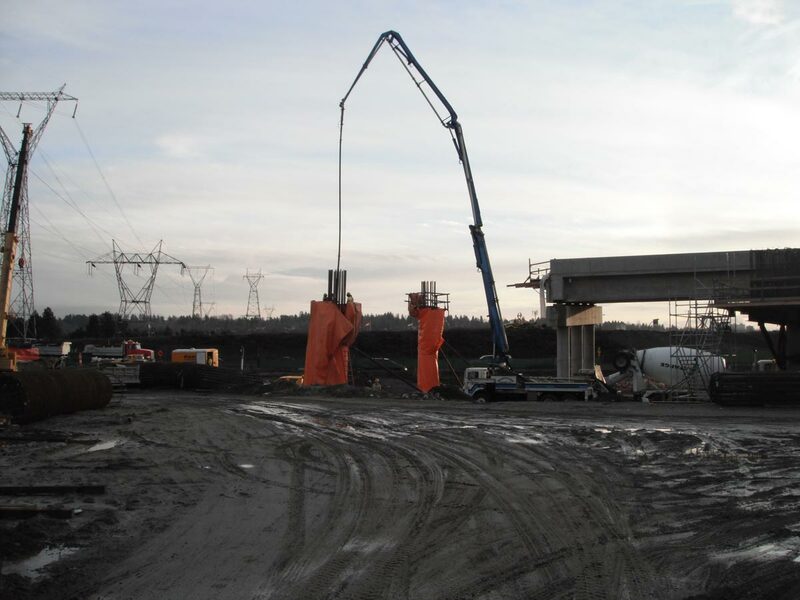 We also have low headroom units that can drive 6m long piling, and we have a variety of hammers to ensure we can work through challenges presented by ground conditions and surrounding structures. 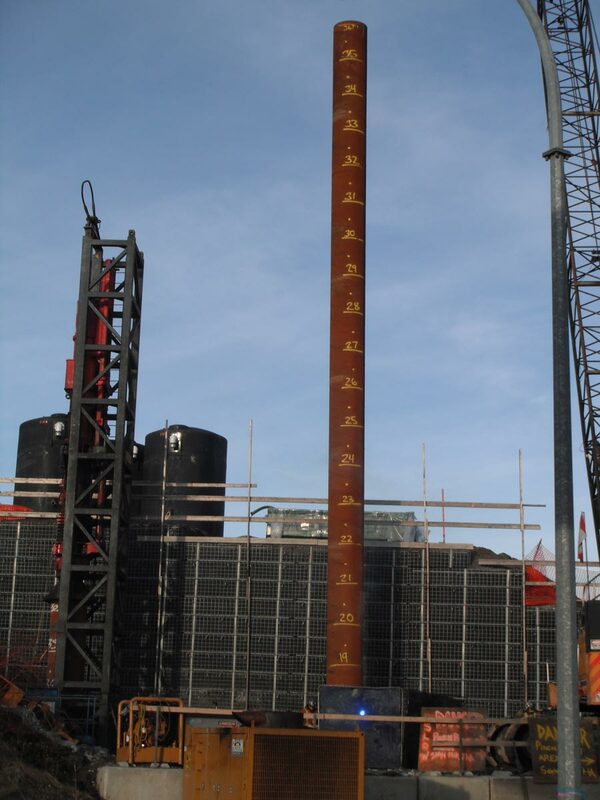 CAST-IN-PLACE CAISSONS – we have several purpose-built drilling units that can install cast-in-place piling 2.6 m in diameter x 56 m deep. 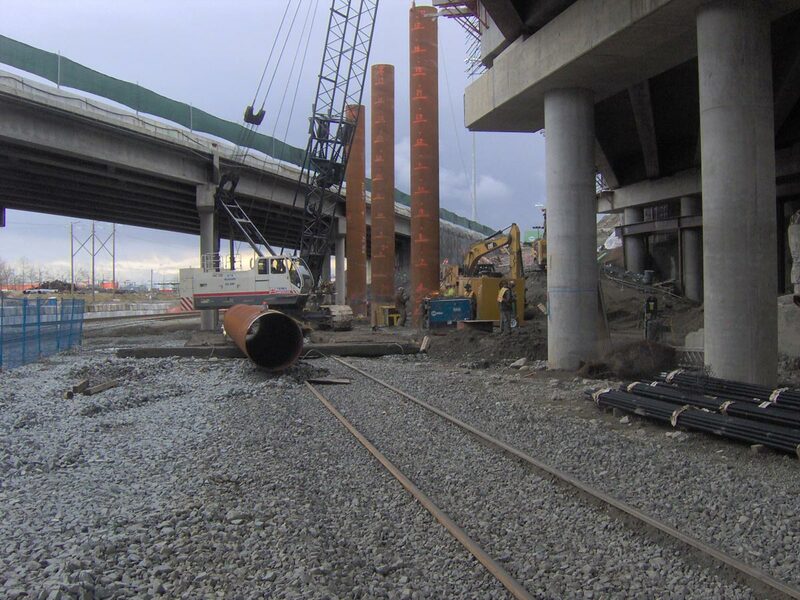 Ruskin’s experienced crews have knowledge and ability to understand a variety of ground conditions, which ensures the sensitivity of this type of pile installation is executed with precision. 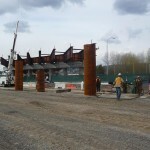 Our understanding of varying soil layers, hydrostatic pressure, groundwater, and the effects on pile construction ensures it’s built correct the first time. 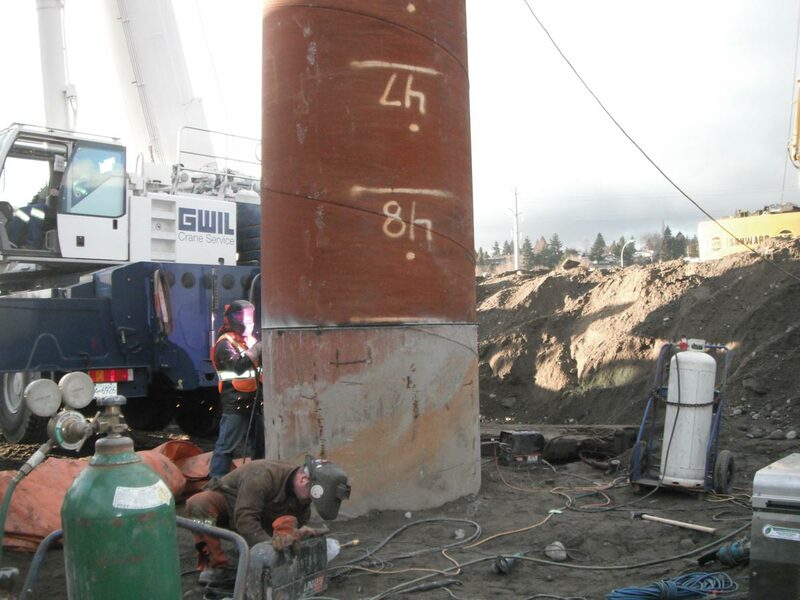 LARGE DIAMETER ROCK SOCKET DRILLING – Ruskin has been at the forefront of drilling technology that involves the installation of caissons up to 1.5 m in diameter into solid rock formations. 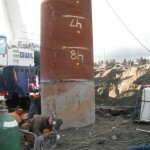 This Down-The-Hole Hammer (DHH) technique enables Ruskin to install a pile or caisson in any soil conditions. 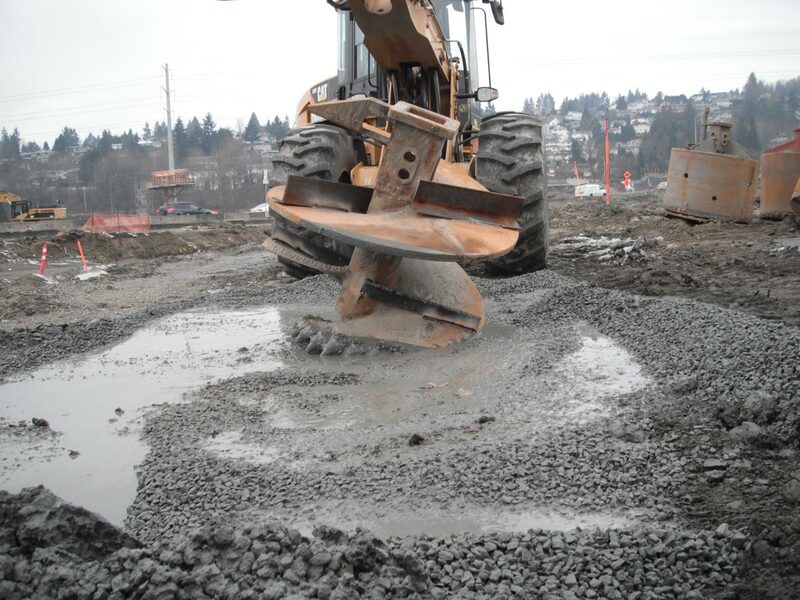 Cobble, boulders, solid rock or a combination of layers, this equipment will ensure the foundation is installed to the location and depth required by the design. 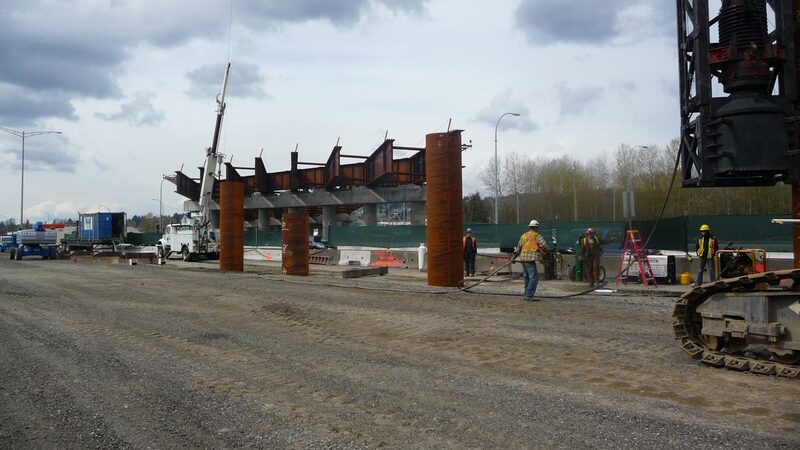 COFFERDAMS AND DEWATERING CELLS – Ruskin has designed and installed many water intake structures and mid-river cofferdams to allow for dewatering and construction. 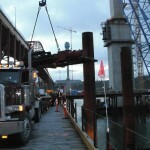 With a fleet of inland waterborne equipment, Ruskin can be mobilized to any location to install a dewatered cell for many applications. 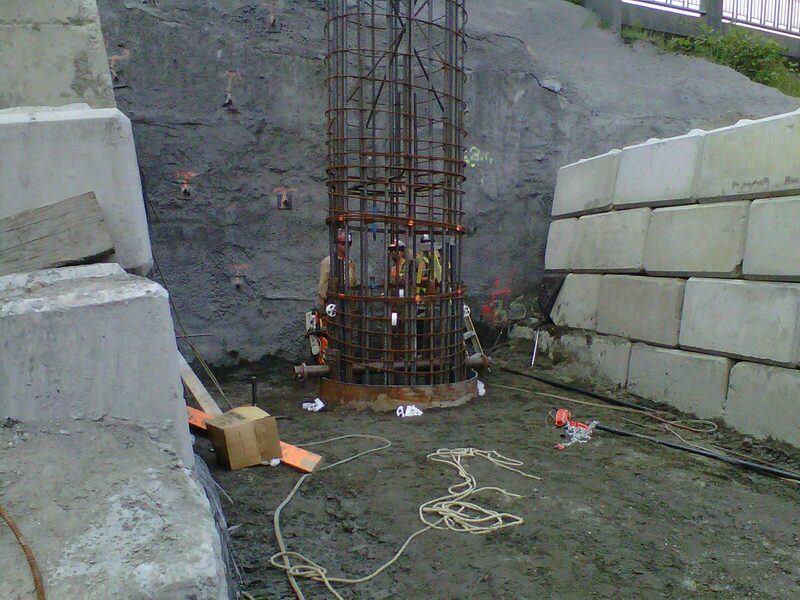 Additionally, Ruskin incorporates its array of foundation equipment to ensure cells can be installed in all soil conditions to make certain the water migration is managed. 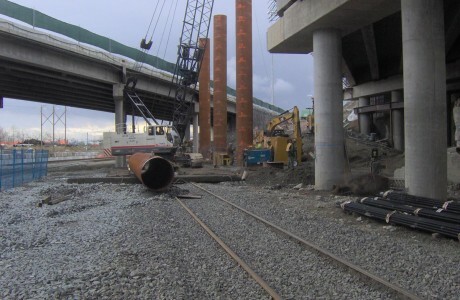 SOIL DENSIFICATION – Ruskin has the ability to provide stone column ground improvement for high water table and high silt or clay soil applications. 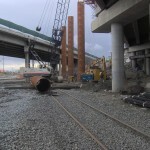 This system, either on land or in a marine environment, can provide design alternatives to ensure cost effectiveness when selecting foundation designs.